I'm no make-up savvy. I only wear make-ups whenever there are occasions or feel like playing with it on a random day. 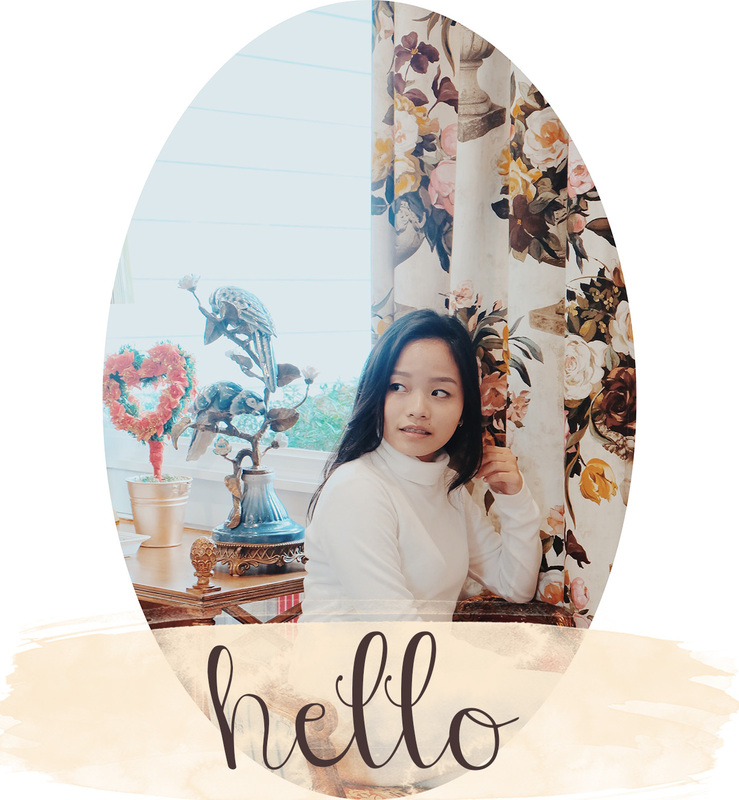 Seeing a lot of your high school friends have grown up to learn put some make-up on, have their brows fixed, and the like, plus the fact that our generation rides the rising trend of wearing make-ups; you do know that it is time that you explore the world of cosmetics as well. In the last two weeks, my dear friends actually noticed that I'm blooming and at least, wearing the slightest make up. I have to say thank you to Rucy's Vanity for introducing me to their korean made products. Well, due to the academic shift for some schools (which included mine), I have to braise myself in gallons of sweat and tons of burning sunrays this upcoming summer season. Did I mention that I'll be having to walk at least a kilometer to travel from one class to class. (Yes, sadly, my school have different buildings for different class departments/colleges and class intervals? NONE.) Nonetheless, I'm still happy that I got to enter one of the best universities in Manila. Anyway, my number one problem is.... finding the perfect suncream that is not GREASY and OILY. I'm using this suncream for about a month now. And.. it is deemed perfect for my skin, since it is not oily and greasy. Before, I ended up getting day burns and look like I spent a day inside a volcano. Now, my skin is back to its perfectly balanced tone. It is also perfect as a makeup base to smooth out your skin's texture. I tried it myself and after a day of wearing make-up, my skin is still perfectly smooth and free from red spots (since I'm actually allergic with some facial powders or just by wearing make-up for a long time). Also it feels like I had a facial spa because it moisturizes my skin. Whenever I wash my face after a day of using this suncream, my face is entirely smooth and is free from day burns. And the reason for that? It is packed with UV Protection SPF 50 PA ++. The problem with cheek tints are either they don't play even on your skin or they don't give a natural effect. Honestly, I thought this one is one of those kinds, but I was totally wrong. I love the natural effect it gives on my lips and cheeks! (Seriously, after minutes of applying it, it glides perfectly on my lips and gives that moisturized feel) Also, it doesn't feel itchy or rough since it contains green tea and collagen that can actually moisturize your skin more. It feels smooth too. How to use? Dab onto lips or cheeks straight and blend using clean fingertips. Reapply for added intensity based on your preference. 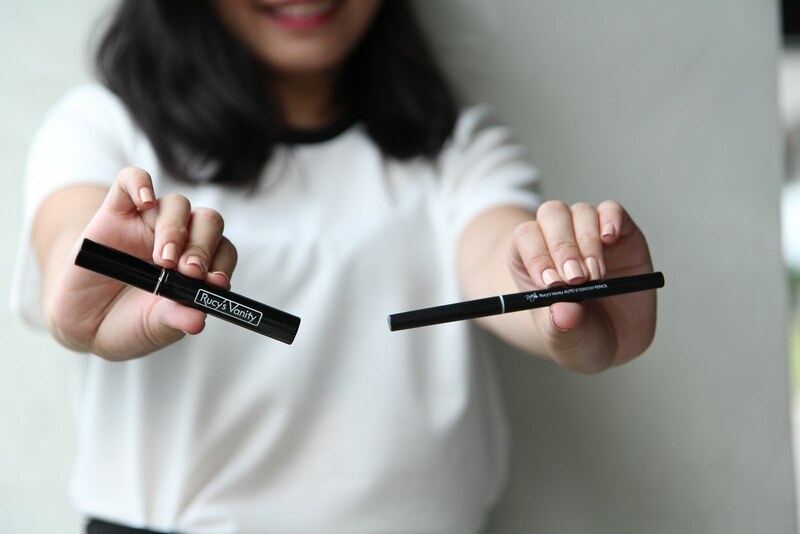 Rucy's Vanity's Eyeliner is an easy to use eyeliner, that in less than a minute, you'll be able to apply a good winged eyeline even without the gift of an artist's hand. Also, for me, it has a faster dry time since seconds after I put it, I can easily open my eyes without it smudging. I actually used it for Nuffnang's Blogopolis 4D and it lasted until I'm able to wash it with water. Since I got my eyebrows fixed, I do need some enhancement in both color and shape. Rucy's Vanity gave me the gray shade, though they got black and brown as well. The gray shade is perfect for me since it goes well with my natural black hair. This is an easy retractable eyebrow pencil that do provide sharp lines and when applied, looks like you have more natural eyebrow hair. Maybe the reason why my friends thought I was blooming is because of this oil-free and water-based serum. I've tried it and noticed that my unblemished skin tones were fairly balanced after two weeks. Also, my acne mark faded. So it's true that this product effectively fades acne mark, hyper-pigmentation, and scars. It is a perfect whitening formula for those who wanted to get more fair complexion at a reasonable price. This serum contains vitamin E and collagen that is particularly used for brightening and moisturizing for a healthy young looking and damage-free skin. Well, I honestly think twice before trying it out as I'm afraid of having break outs or skin allergies that might affect me, but happily, I didn't experience any. Merely because of the fact that Rucy's Vanity uses natural ingredients that is both safe and dermatologically tested. So, note that this product is suitable for all skin types since it is hypoallergenic and non-comedogenic. How to use? After cleansing and toning put small amount on palm and wipe gently, apply on the face and neck area. Use day and night for faster results. 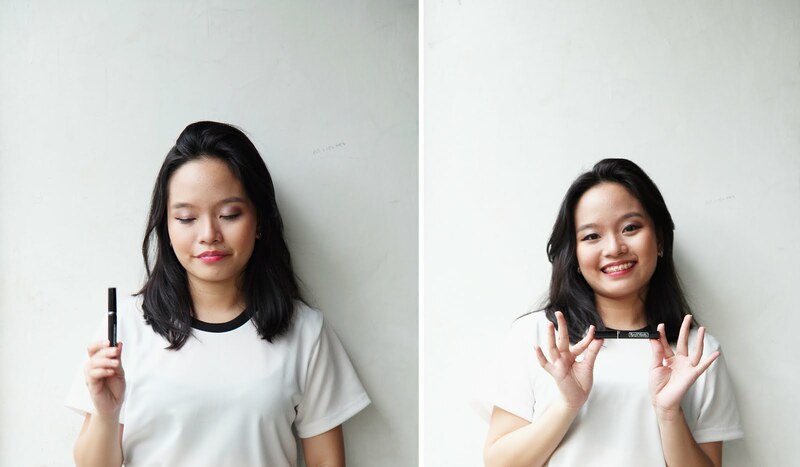 Here's a sample shot where I used the suncream as my make-up base, eyeliner, eyebrow pencil, and lip tint. Also, I've used the serum for a week. All of these products are 100% made in Korea and we all know that Korea is a total make-up haven. 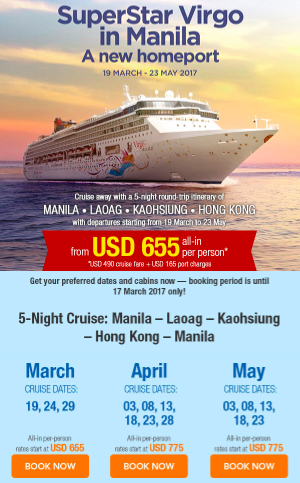 Truly, Rucy's Vanity offer a high quality and unique products at an affordable price. I hope that you do try all of these hauls as it is really worth it. 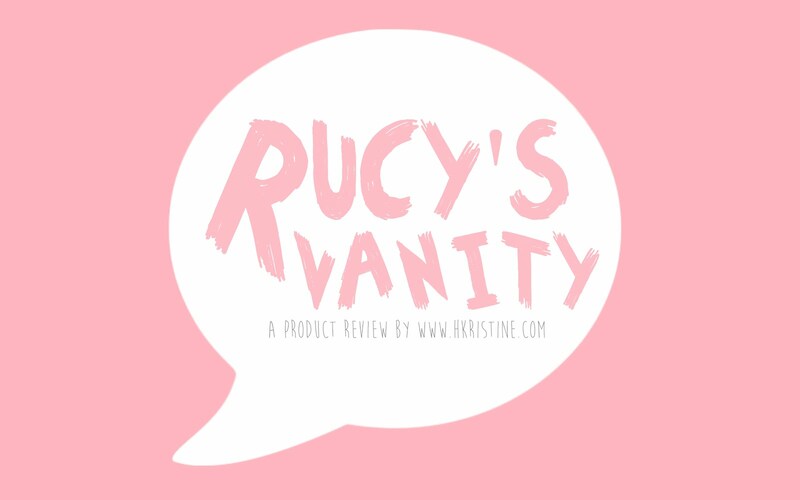 I recommend Rucy's Vanity if you're really looking for your budget-friendly everyday beauty routine must-haves. Visit Rucy's Vanity's website now. I've been frequently using this products during my latest shoots so stay tuned to see more of the actual! Again, thank you Rucy's Vanity PH for sending me some of your products to try and for the trust!